Ok so now to it - Jamie Oliver in Toronto! What a night! Here to promote his new book Jamie's America, to cook two recipes from it and to talk with the people of Toronto - answering a ton of q&a's. The evening was a giant success, held at Toronto's Metro Convention Center - there were 3,000 people there! Congratulations to the Art of Cooking for hosting such a successful event! It was great to hear Jamie talk about his love of cooking and the Food Revolution! The two recipes Jamie made for us were a steak with two sauces from his time in LA and a Peruvian ceviche from his time in New York. I want to share the ceviche recipe with you - as it is something so fresh and delicious, but something I bet people rarely make!! Note: Ceviche is a popular South American fish dish, that is made by marinating raw fish in citrus juices such as limes, lemons, orange etc. - Cut your fish into 1/2 inch cubes. Put these into a bowl with your chopped bell peppers and scallions. Cover and place into the fridge just until you need them. - In a separate bowl mix together the lemon juice, salt, and chiles. Then cover and put into the fridge to chill too. - Finally, wash and dry your herbs and cress. 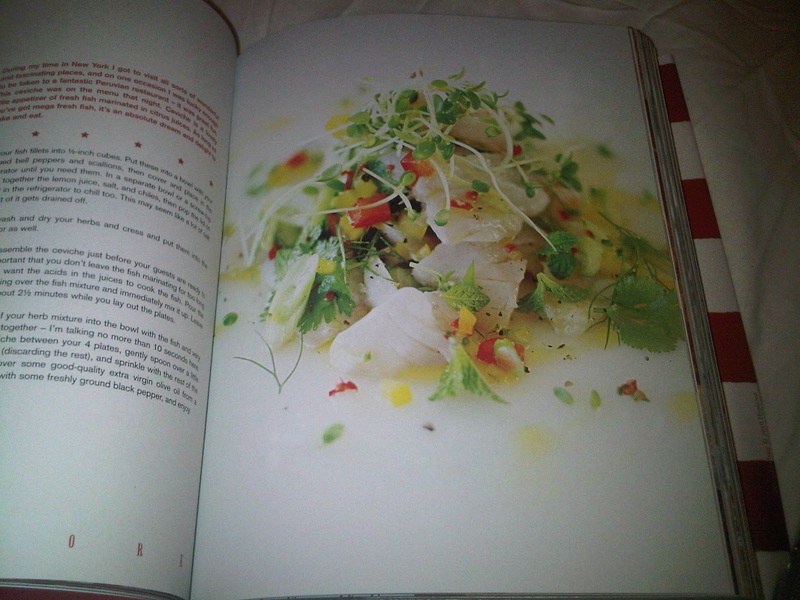 - You can assemble the ceviche just before your guests are ready to eat. It's important that you don't leave the fish marinating for too long - you don't want the acids in the juices to cook the fish. 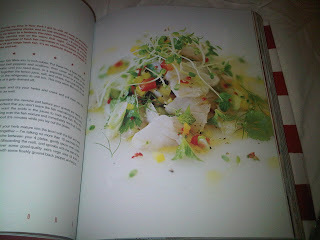 - Pour the lemon dressing over the fish mixture and immediately mix up. Leave to sit for about 2-3 minutes. - Throw most of the herb mixture into the bowl with the fish and do a quick toss together. - Divide the ceviche between your 4 plates, gently spoon over a little of the dressing and sprinkle with the rest of the herbs. - Drizzle some good quality extra virgin olive oil and sprinkle with some freshly ground black pepper. This is great! I was at this event too! It was just like watching a rock star. Very cool.